It’s almost time for Christmas. For most people it just means a mad rush around the shops along with thousands of other people pushing and shoving at the last minute to get “stuff”. The meaning has been lost long ago in favour of buying more and more presents. Alot of people get tired at just thinking about it and hate Christmas. Why have we bought into this? The definition of insanity is doing the same thing over and over and expecting a different result right? How about we do something different this year? If you don’t need to entertain young children this Christmas, what about pledging money to your favourite charity on behalf of the adults around you instead? And then making them a certificate to give them. Your pledge can make a real difference to someone and your handmade certificate is the personal touch we need to get back. 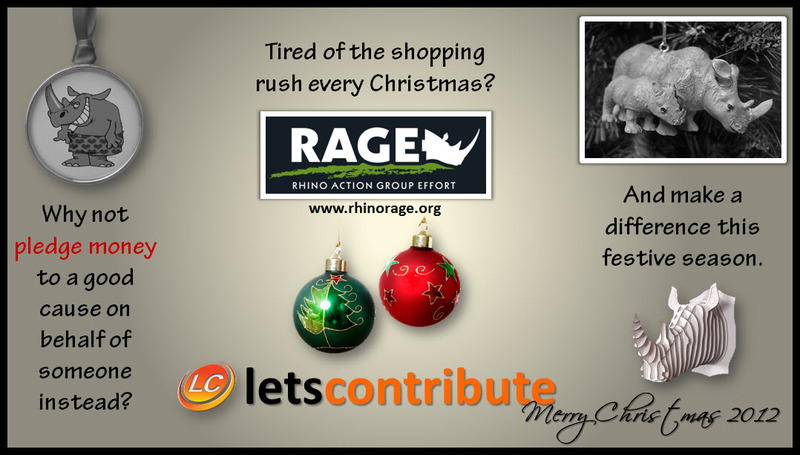 In South Africa, the plight of rhinos is very serious and urgent, so this is my charity of choice this festive season. I don’t know about you, but I’d much rather get a handmade certificate than a soap-on-a-rope. Next Why, SharePoint “Men”? Why?